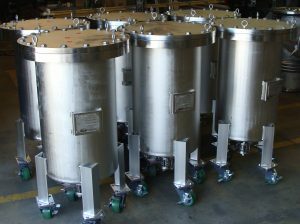 Secondary Containment Vessels – Petersen Inc.
Petersen Inc. fabricated three 30-40-gallon portable stainless steel pressure vessels (secondary containment vessels), designed in conjunction with LANL engineering. 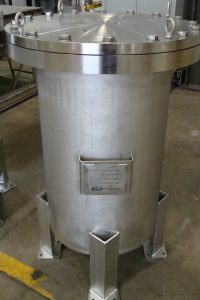 Vessels were designed, fabricated, and tested to ASME Section VIII, Div. 1 and code stamped per Spec. NDE included CWI, and Hydro. Vessels required electro-polish on all interior surfaces and were manufactured and inspected to seller’s ISO9001-2008 QA Program.